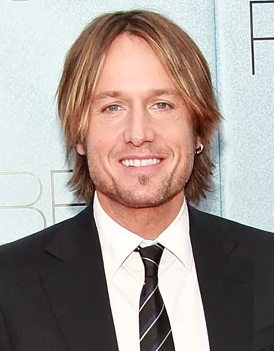 One of the New Zealand country music singer, songwriter, musician and record producer is Keith Lionel Urban is famous as Keith Urban. He released his self-titled debut album in 1991. He is famous for his roles as a coach on the Australian version of the single competition named as ‘The Voice’. He is famous for being a judge on ‘American Idol’. He has his own signature line of guitar and accessories. 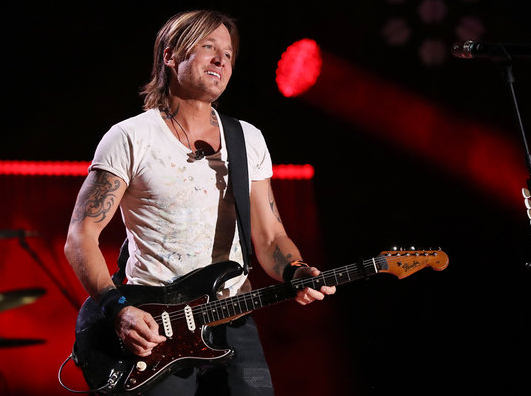 Keith Urban’s full name is Keith Lionel Urban. He is born on 26 October 1967 at Whangarei, New Zealand. His father name is Robert Urban who owns a convenience shop and mother name is Marianne Urban. He entered Sir Edmund Hillary College in Otara at the age of 13. He was the contestant of ‘New Faces’ which is the Australian TV talent show. Keith’s height is 1.78 m and weight is 75 kg. His eye color is blue and hair is of dark brown. He has a balanced and healthy body. In 1990, he signed with EMI in Australia. He released his self-titled debut album. He appeared in a various compilation album. In 1999, he again released his self-titled debut album under the session pianist. Due to the songs, he also earned ‘Top New Male Vocalist Award’ in 200. In 2002, he released his second album named as ‘Golden Road’. In 2005, he won ‘Grammy Award for Best Male Country Vocal Performance’. The album was certified triple platinum on 22 September 2005. He performed in front of European audiences for the first time. He released ‘Days Go By’ on 6 June. He released his third American album named as ‘Be Here’. In 2007, he won his second ‘Grammy Award for Best Male Country Vocal Performance’. He released his first greatest hit collection named as ‘Greatest Hits: 18 Kids’. On 31 March 2009, he released ‘Defying Gravity’ by Capitol Records. In season 8 finale of American Idol, he performed the song. He also became the judge to support independent artist’s career for the 8th annual Independent Music Awards. In 2011, he was named as one of four vocal coaches in an Australian version of reality singing competition named as ‘The Voice’. In 2012, he was announced as a judge in season 12 of American Idol and also of season 13. In 2012, he released his next new studio album. He was invited to be a member of Grand Ole Opry at the third annual benefit concert. He played guitar on Tim McGraw’s early 2013 single. In 2013, he released his eighth studio album named as ‘Fuse’. In 2015, his single song was number 1 on Country Airplay. In 2013, he announced his own signature package of guitars and accessories. In 2015, he released his eighth American studio album named as ‘Ripcord’. In 2016, he was selected as one of thirty artists to perform on ‘Forever Country’ which celebrates 50 years of CMA Awards. He was also judge of the final season of America Idol in 2016. In 2017, he released a new song named as ‘Female’. He also announced his tenth studio album would be titled as ‘Graffiti U’. Keith is a married man. He is married to Nicole Kidman who is American-born Australian actress. They met in 2006but started dating after 6 months. They got married at Sydney on 25 June 2006. They have two beautiful daughters named as Faith Margaret Kidman Urban and Sunday Rose Kidman Urban. They have the mutual understanding among each other. Keith’s net worth is estimated to be $75 million.